← Spring 2015 Registration at RU Is Underway! 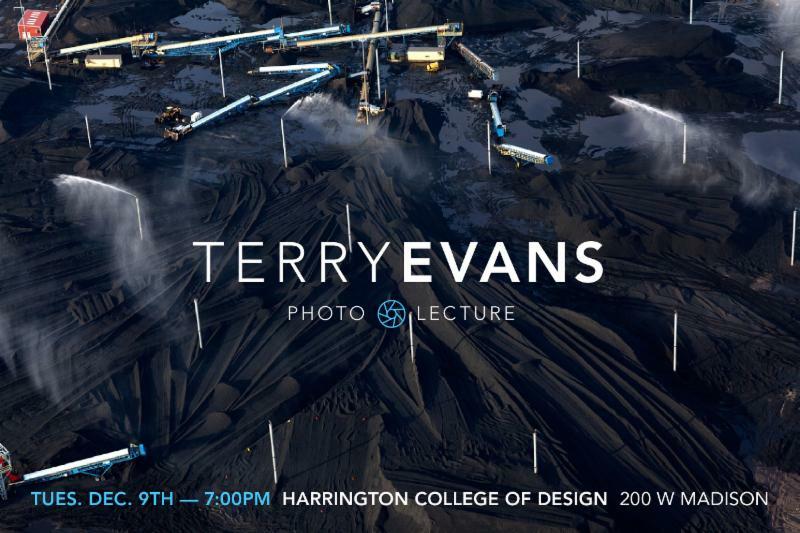 Noted photographer Terry Evans, who has done dramatic work on Chicago’s urban landscape, the Calumet Region, Midewin National Tallgrass Prairie, and many other sites throughout the US, presents and discusses her dramatic images of fracking in North Dakota, the Trinity River in Texas, and petcoke piles in Chicago next week at the Harrington School of Design. This event is free and open to the public. 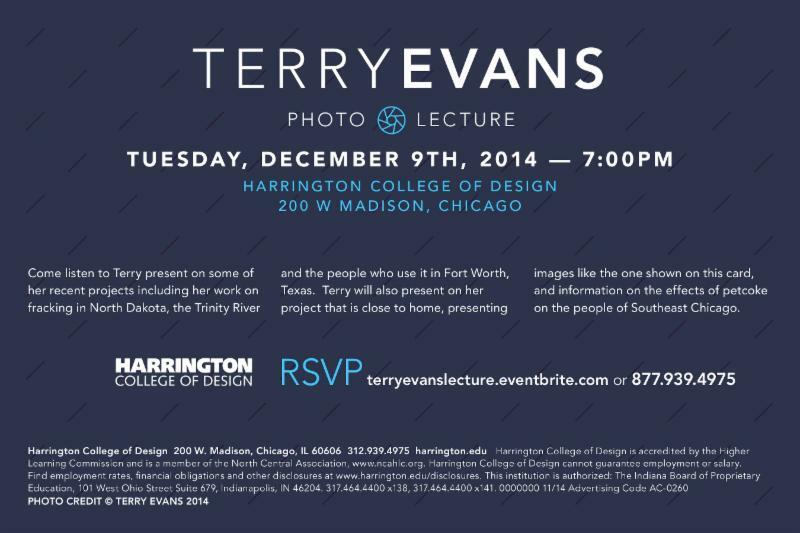 Time/Place: Tuesday, Dec. 9th, 7pm, Harrington School of Design, 200 W. Madison, Chicago IL. RSVP for this free public event here at Eventbrite. This entry was posted in activities, arts, climate change, energy, events, exhibits, humanities, Illinois, presentations, waste. Bookmark the permalink.